No Man's Land? : Trams: Outdated or Futuristic? Home Trivandrum Bypass Trams: Outdated or Futuristic? My idea of trams was that it was an antiquated mode of public transport until I debarked at Dublin, capital of Republic of Ireland. 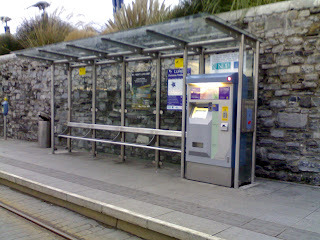 The elegant and sophisticated tramcars, as you see here, has revolutionized the once non-existent transport system of Dublin. The more I learned about them the more I became aware as to how wrong I was on the tram systems, particularly about it being an obsolete one. 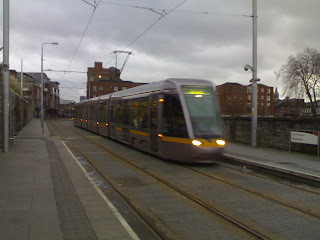 For records, the Dublin tramlines (or the "luas" as they call it here) has just been commissioned in 2004. I was somewhat surprised as to why this system hasn't been adopted by any Indian city. Calcutta could be one reason. Or else the system itself was just not suitable for Indian conditions. 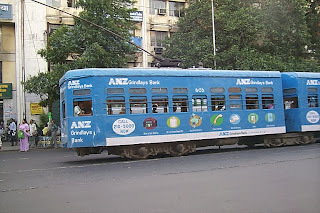 Trams often go in conjecture with the mainline street traffic and under the helter-skelter driving habits exhibited on our roads, I wont be surprised if the system turns into a nuisance overnight. The dangers associated with narrow two-wheeler tyres getting caught in rail grooves would be another concern. But all matters aside, I would love to see a trolley-system develop in India, especially in Kerala. My first argument would be that trams are simply more cheap and environment friendly than its counterparts, the monorail, skybus or a Metro. Apart from being faster than a BRTS, trams would enhance the image of a city, reduce congestion and pollution without affecting the aesthetics of an urbanscape. I'd imagine, in Trivandrum the best option to develop a tramline is along the evolving corridors of the new city. It is too late and impractical to manipulate with the existing roads of Trivandrum. One of my friends who works in the real estate field mentioned about a study to develop a transport system exclusively for the Vizhinjam- Technocity corridor, all along the highway. I queried about the possibilities of such a light rail system on this strip, but he raised authentic doubts about it, mostly related to the tram-automobile nexus. Well, if planned properly this disadvantage could well be turned into an advantage. 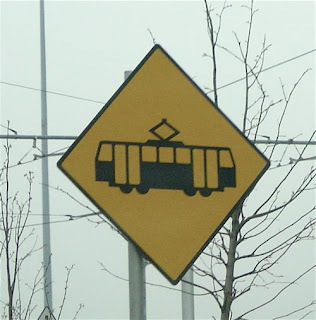 The road divider could essentially become the tramway. It just requires around 6-8 meters for placing all the necessary infrastructure, consisting of double rail-lines, ticket counters and bays. Foot overbridges or subways may be necessary to connect the tram avenue to either sides of the road. Automated signal control would be mandatory at junctions, and the initial mayhem would resolve once the population is familiar with the system. This tramsystem would have Mangalapuram, Technopark, Enchakkal and Vizhinjam as bases/depots and preferably have branching routes to Sreekaryam-Medical College(via Eng College), Akkulam-Ulloor Road(augmenting with the Medical College line) and Airport(New Terminal). These corridors have the advantage of being in early stages of planning & development, allowing for incorporating the adequate berth for tram infrastructure. This system could be built and operated at one-fifth of the expenses for a similar Metro System. This would cut down significantly the need for private transport and thus help reduce congestion plaguing our cities. Moreover, with the increased emphasis on environment, CO2 emissions and greener methods of transport, trams are likely to rejuvenate itself as a fashionable choice. Such systems are already up and running in multitudes of global metropolises like HongKong, Melbourne, Zurich or Amsterdam, and I see no reason why it wont work in our cities. I was convinced at the efficiency of this system in a megapolis like Zurich, where the penetrating and efficient web of tramlines has minimised to a great extent the problems due to vehicle population. After the successful establishment of a tramsystem in Dublin, the Irish are expanding the system in the city, and also planning new ones in cities of Cork & Limerick. Just for point, the luas covers the Connolly-Tallaght route in Dublin in 40 minutes sharp, always, when a bus takes you there in over an hour(if you are lucky). This Wikipedia article elaborates on this mode of transport, and also points out that cities which harbored disused tramlines are rebuilding it. Related Topic:Birth of a new city!